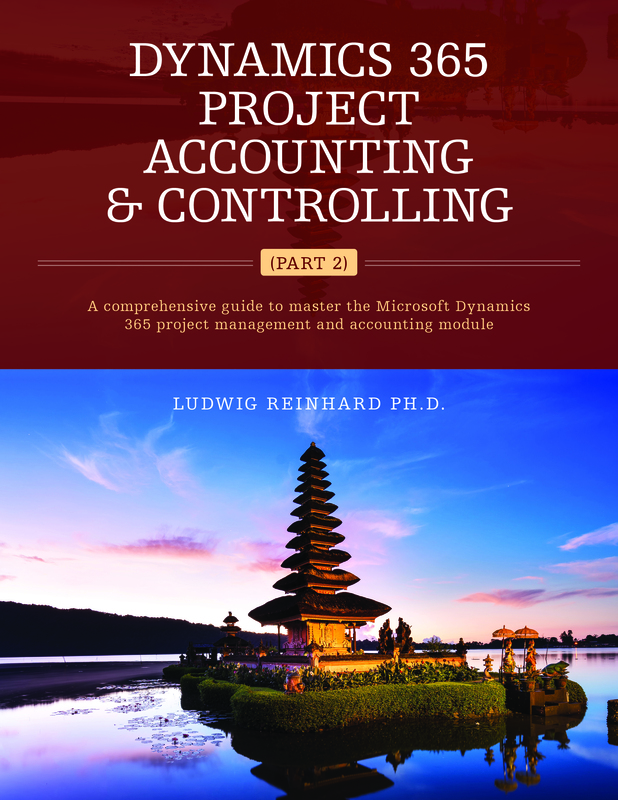 This post extends the previous one in a way that this time a project related expense invoice is recorded and posted. 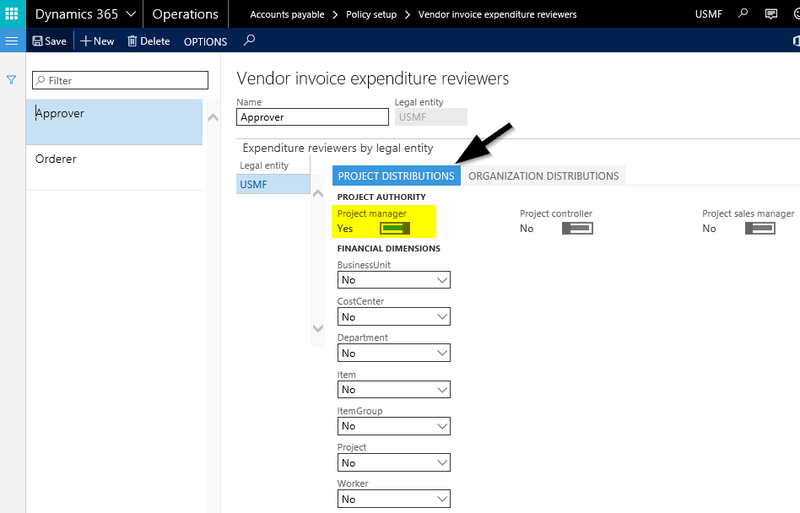 The major difference to the example shown in the previous post is related to the expenditure reviewer setup that needs to be made in a separate project distribution tab, which is illustrated in the next screen print. Please note that the setup of the ‘orderer’ expenditure reviewer group is made in the same way that has been shown for ordinary expense related invoices in the organization distributions tab. The setup of the ‘approver’ expenditure group differs from what has been shown in the previous post because the project manager is now defined as the responsible person for approving the vendor invoice. For details, please see the following screen print. Please note that the sample invoice recorded below is for project no. 000188, which has Kevin Cook assigned as the project manager. Also note that Kevin Cook is not a line level manager of Nicole Holiday who once again ordered the goods. 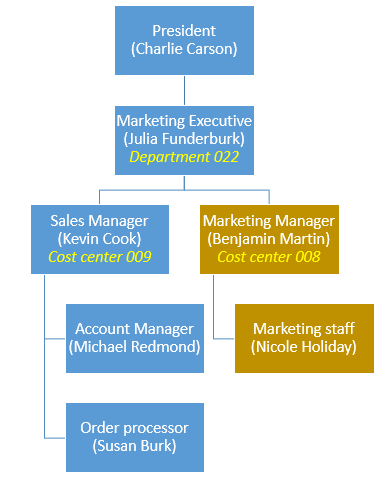 This can be identified from the next organizational chart. 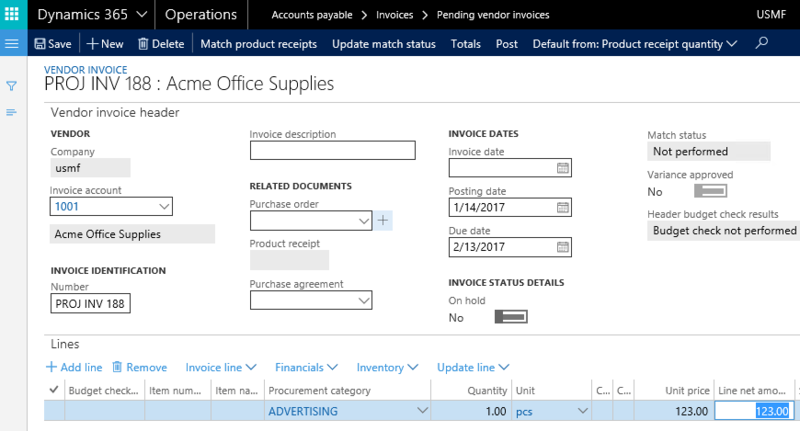 Against the background of all this information, another expense invoice for advertising materials is recorded in the pending vendor invoice form. 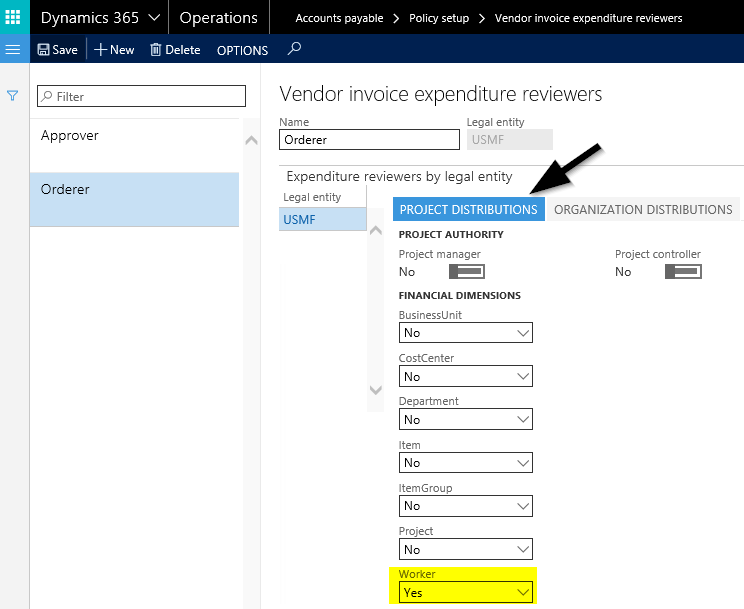 This time, with a project is specified in the project invoice line details tab. 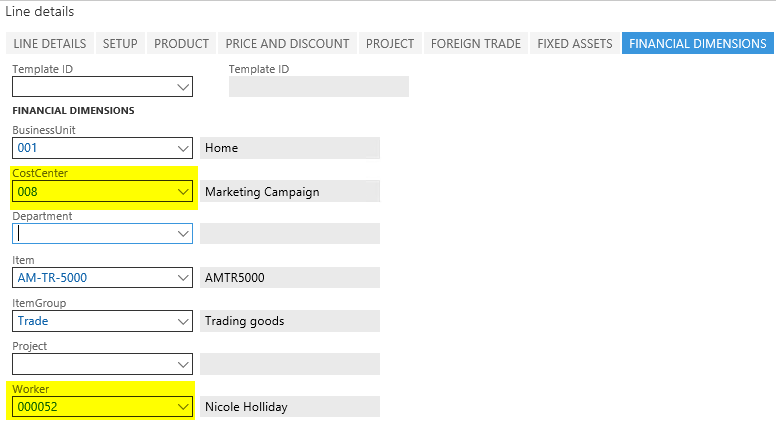 The financial dimensions invoice line tab is filled with the same financial dimension values that have been used in the prior post. 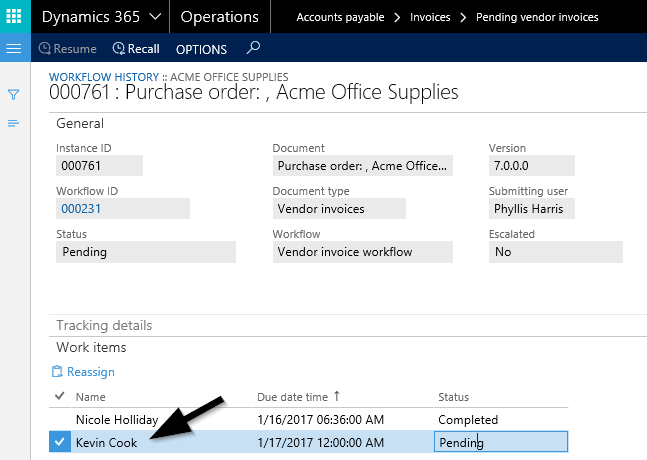 That is, Nicole Holiday – the worker who ordered the goods – is recorded in the financial worker dimension field and cost center 008 – that has Benjamin Martin assigned as the cost center owner – is recorded in the financial cost center dimension field. 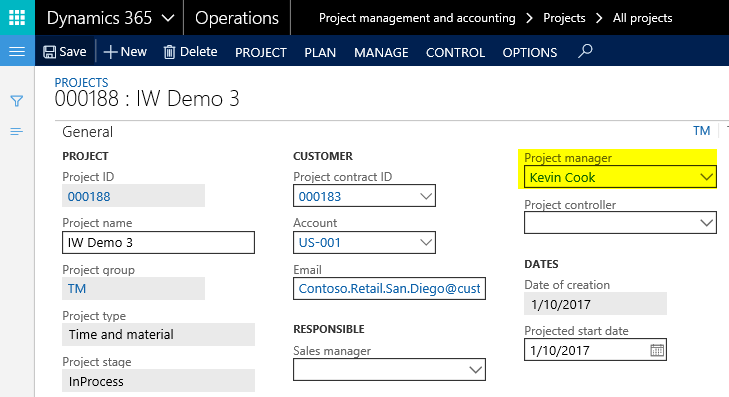 Because of the project relationship, the respective project manager (Kevin Cook) and not the cost center owner is identified as the one who has to approve the vendor invoice before it can be posted. The next screen print illustrates this. As the remaining process steps are identical to what has been shown in the previous post, they are skipped here for reasons of brevity. 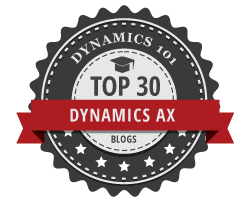 The next post will build upon this one and illustrate how different signing limits can be incorporated into the vendor invoice workflow. Till then. This works as long as the users do not forget to enter the Project ID. 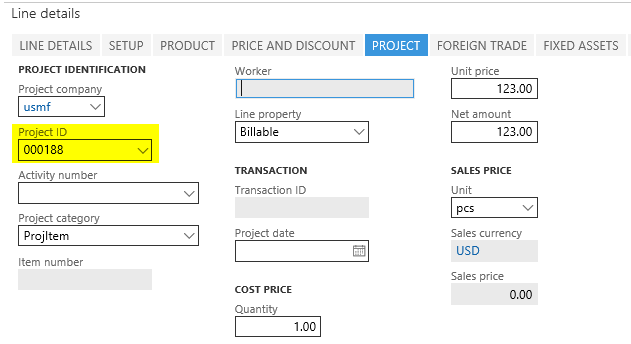 In my home accounting I was confronted by the following problem: how to ensure that the stupid system users (me 🙂 always enter the invoice against a project ID? 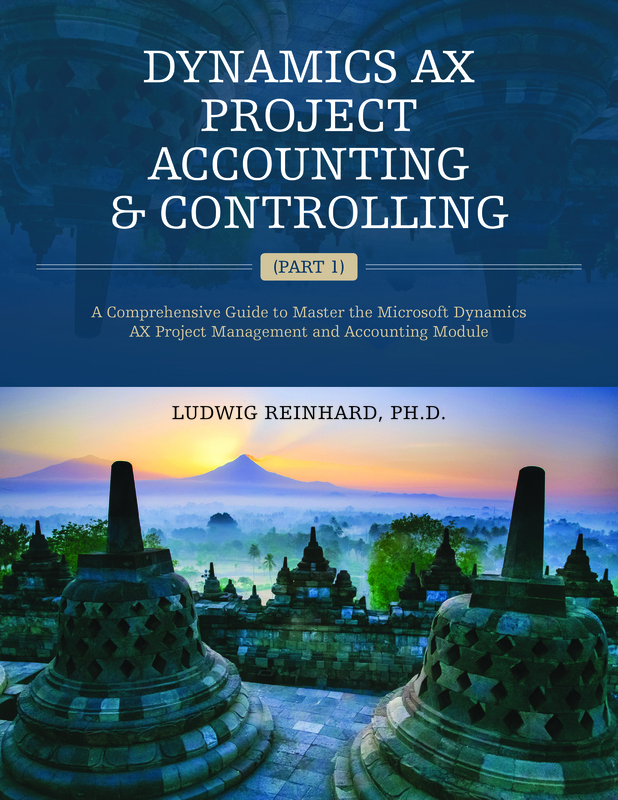 The solution I implemented was to put a posting type validation on the expense main accounts in question: “Project – cost”.